Imagine this: you’re hosting a summer get together for your family and friends. You’ve perfected the menu, completed the cleaning, and even managed to create some decorations for the warm weather fete. 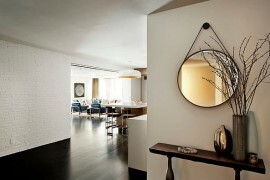 You’ve paid attention to every little detail except… what will your guests’ first impressions be of your humble abode? 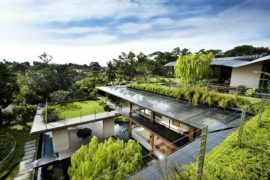 Will they love your home as much as you do? While there is no way to determine what they’ll think, you can do your best to make sure every guest feels welcomed from the moment they step through the door. 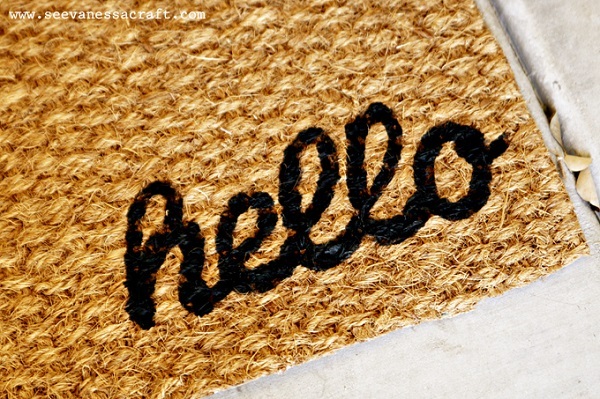 Welcome them in style with one of these DIY welcome mats. You’ll be sure to get a smile or two. Adhesive vinyl and acrylic paint are the materials of choice for this friendly welcome mat by Vanessa of See Vanessa Craft. 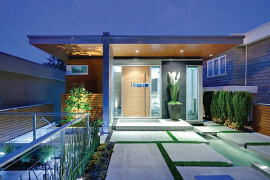 When completing this project, look for a mat in a natural fiber like bamboo. It will be a little difficult to cover every fiber with paint and create a uniform appearance, but will add function to your mat as you dry and wipe your feet before entering the house. 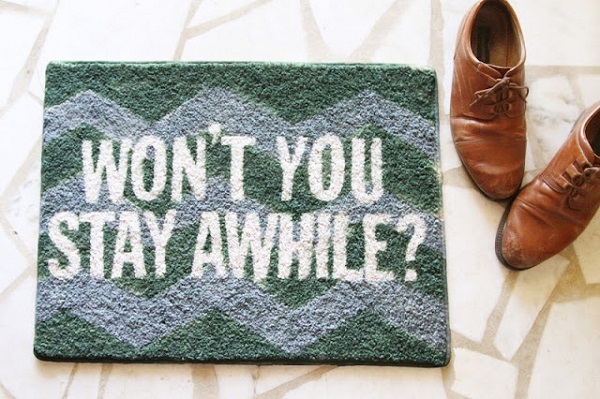 Set a playful mood before you enter the house with this patterned mat from Kinsey of Sincerely Kinsey. A simple stencil made from painter’s tape and adhesive letters allows you to create a customized greeting sure to leave a smile on your face. 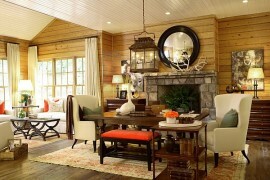 While a welcome mat works well for this project, a small plain rug would be a great substitute. Looking for an easy way to spruce up your front door? 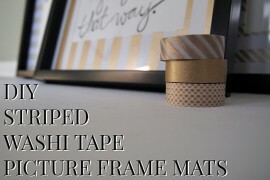 Take a cue from this DIY from Annie of Annie Made. 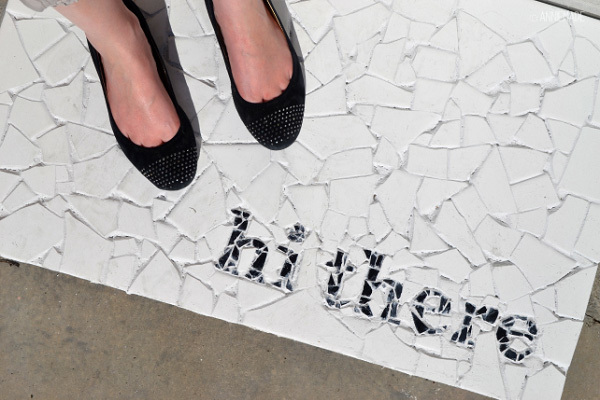 A custom tile design featuring a personal greeting is sure to leave your guests with a smile on their face. While the tile of this design isn’t ideal for heavy snow or rain, you can protect your project from the elements with standard tile and grout sealant. 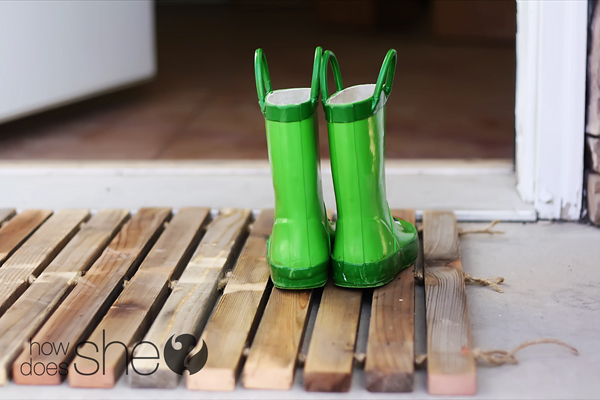 Environmental enthusiasts everywhere can rejoice with this DIY by Alison of How Does She. It features repurposed wood from an old fence destined to be discarded. 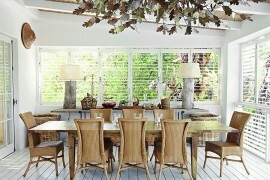 Though paint would be a nice finishing touch to the planks, the weathered look brings a unique vintage vibe. And just think- this mat will have more stories to tell as it greets your guests over the years. This DIY by Jess of Spoon and Spool looks like a complicated and intricate project, but don’t be discouraged! 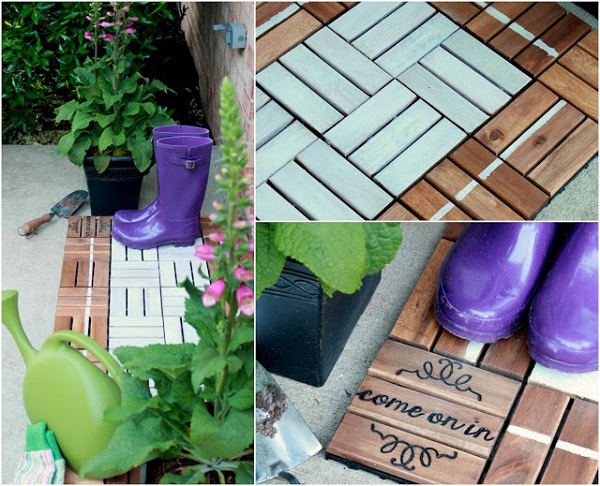 This crafty welcome mat was constructed using decking tiles- a material that is simple to use. The alternating planks give the mat some visual interest, while white paint and wood burned greeting gives it a homey touch. 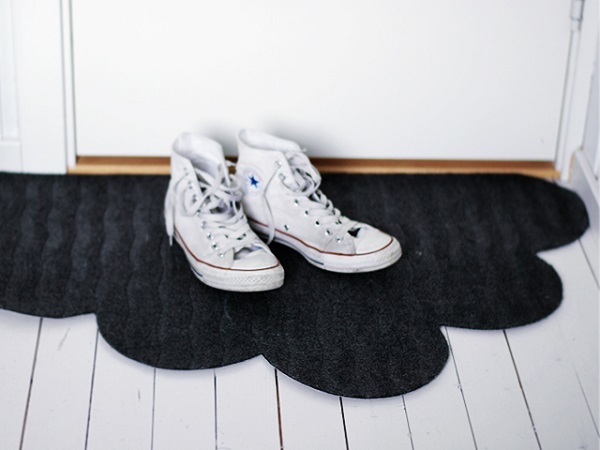 Shine Design drew inspiration from the elements with this charming cloud shaped welcome mat. Create your own version in thirty minutes by freehanding a cloud outline with chalk and cutting it out. 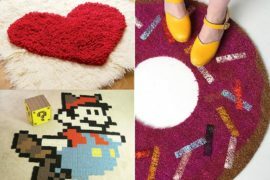 This mat is so quick to make, you could have several around the house. Place one at every door of your house, as well as in high traffic areas like a mudroom. 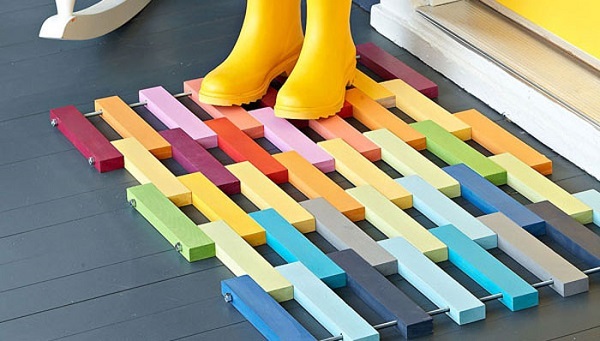 This welcome mat DIY from Lowe’s is perfect for the handy design lover. While you’ll need power tools to complete this project, the fun comes from the ability to customize the color scheme. Bright neon hues will bring spring and summer right to your front porch, while deeper shades will reflect the cooler times of fall and winter. 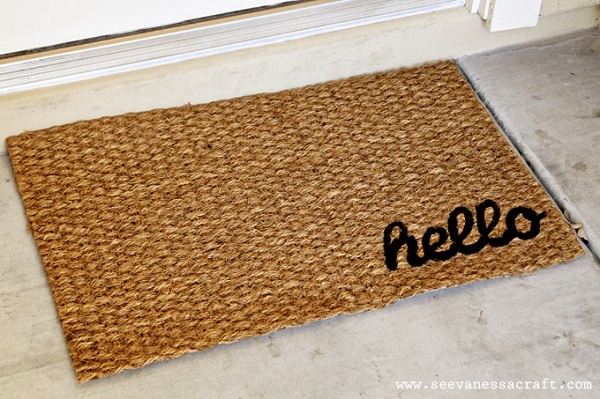 Welcome mats are an easy way to make your house appear warm and inviting. Whether you choose a bright and playful color to set the mood or etch a personal greeting to make guests feel at home, visitors will appreciate the extra touch. How do you like to welcome guests into your home? Let us know in the comments below.